Among the state's past winners were Sam Hiatt (Seattle Prep), two-time winner Kelsey Turnbow (Central Valley), and Brooke Gilbert (Glacier Peak). Jojo Harber helped Bellevue capture its first girls Class 3A state soccer title last fall and keeps on racking up awards in honor of the feat. 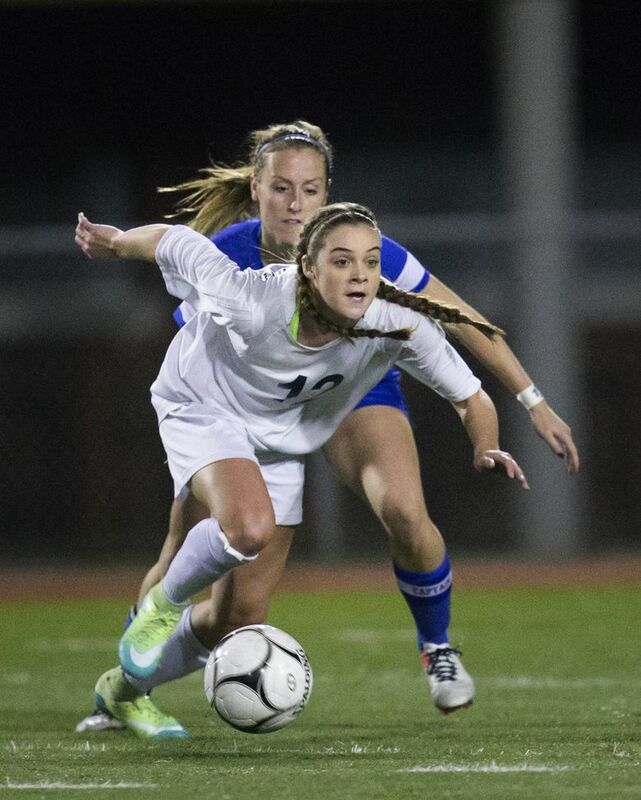 The Stanford commit was named the Gatorade Washington Girls Soccer Player of the Year on Monday. The award coincides with being named the Washington State Soccer Coaches Association’s Player of the Year for her classification. She was also a member of the Star Times team. Harber is now a finalist for Gatorade’s national girls soccer award to be announced later this month. She also receives a $1,000 grant to donate to the organization of her choosing. Bellevue finished the season unbeaten at 19-0-2. Harber, a senior forward, scored the only goal in the championship game, a 1-0 win over Southridge of Kennewick. She finished her senior season tallying 12 goals and five assists. Harber, who graduated with a 3.98 GPA, joins an elite group of past state soccer award-winners, including Abby Wambach (1998, Our Lady of Mercy, N.Y.), Heather O’Reilly (2002-03, East Brunswick, N.J.) and Mallory Pugh (2015, Mountain Vista, Colo.).